Then it took me to this window. I filled out the part on the right. Then I logged in to the forums. Okay, I see now, the Register User link from the main forum page works. Log Out, then click the Log In link. Go to register here on the log in window page, it takes you to MacNews to register which is a different registration page. 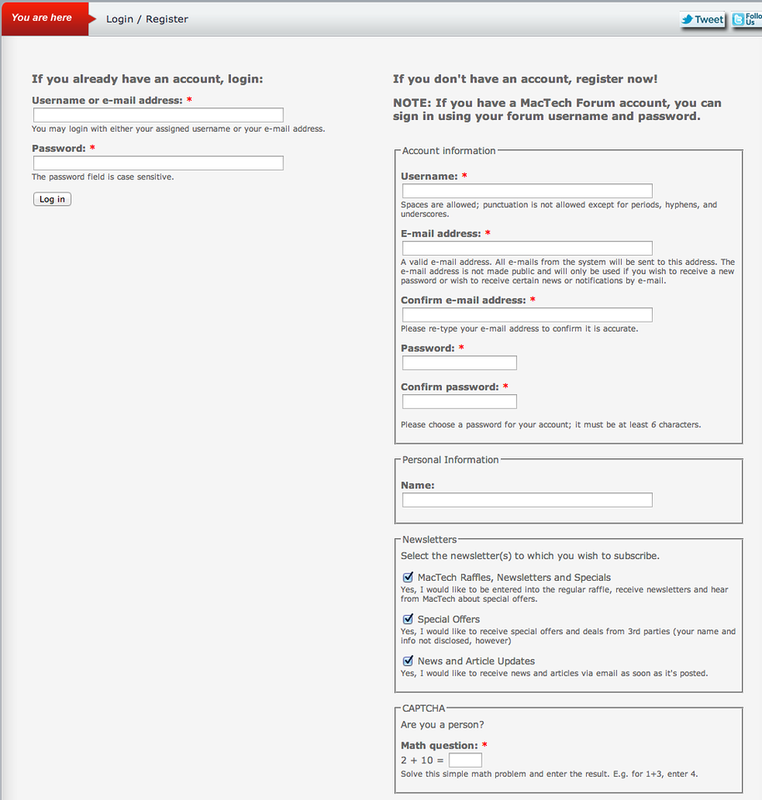 It registers you for the websites, but the registration doesn't populate from there to the forums. infinite loop of denying your Log-In Info. an older version of Safari thru MacTech. resolved, or a work-around is worked out. Do you mean she tried from this AppleCentral page? If so where did she go from there. If you meant the forum main page and not the AppleCentral page (the forum software automatically makes AppleCentral a link) what link did she click on that didn't work, does she remember? when no two member-wannabees are together at any given time. to take over the account & Change the Password. We could do something like that. I'll be in touch later tonight. PM what user name you want it to be. It was Bird? well heck fire, she should have just called me! She didn't call either of us. with her old "Toilet-Seat" and updating FireFox. to check in to make sure everything was OK.